Though it is tempting to take the Athena Parthenos to Athens to use as a secret weapon, the friends know that the huge statue belongs back on Long Island, where it might be able to stop a war between the two camps. The Athena Parthenos will go west; the Argo II will go east. The gods, still suffering from multiple personality disorder, are useless. How can a handful of young demigods hope to persevere against Gaia’s army of powerful giants? As dangerous as it is to head to Athens, they have no other option. They have sacrificed too much already. And if Gaia wakes, it is game over. ‘How far is that in regular measurements?’ Percy asked. ‘About five or six football fields,’ Hazel interceded, feeding Arion a big chunk of gold. Thoughts: I really enjoyed this book. I kept turning pages one after another because it was so exciting. Part of me wanted to slow down because I didn’t want the story to finish. But I kept racing to the end of the book. I liked the choice of narrators. I was thrilled that Reyna got to narrate her own part of the story. I always wondered about her back story. It was interesting to find out how she ended up like she did. One thing I like about the Heroes of Olympus series, is how a lot of the minor gods are mentioned instead of just the Olympians. Quite a lot of my favourite gods are minor ones and so it's awesome to have them mentioned. This book definitely lived up to the rest of the series. I can't wait to see what Rick Riordan writes next. 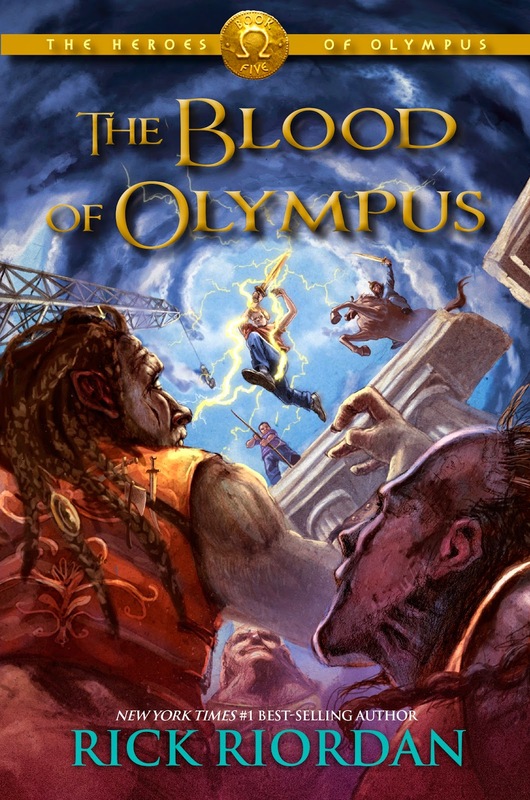 Have you read Blood of Olympus? What did you think of it? Love love LOVE this book! The ending was amazing and so beautiful. Rick Riordan is probably my favorite author.